I want to start this post by giving a big ups to the service department at Liberty Mazda for all the help with my power steering issues, more specifically Mikey for doing a phenomenal 2nd power steering rack install on my car. The power steering issues in my car have been a constant bother for many events now, but I can confidently say that failed power steering is a problem of the past. Thanks Liberty Mazda, much appreciated as always. Renegade Miata's 1st event was just what I needed this weekend, on such a beautiful day no less (At least in the morning)! The course was a lot faster then some of their usual courses, but had their usual "gotchas" in some spots. 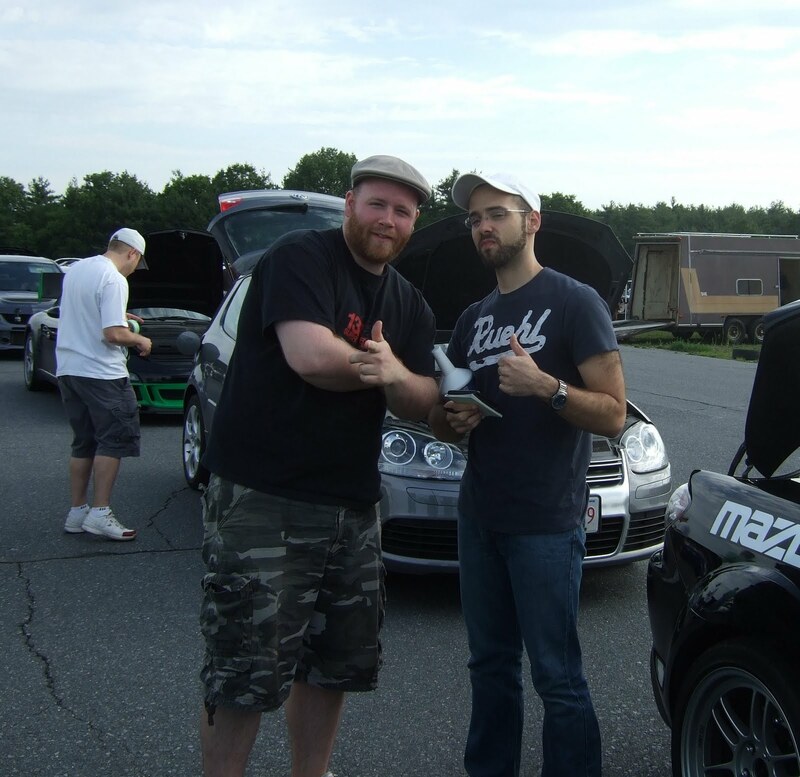 Never-the-less, I got to put my new steering rack to the test with Shane co-driving as well. I managed to drag out Jeff of Show Shine Detail & Performance for his first time (he didn't put up much of a fight!) and he did very well! Hopefully we'll be seeing more of him in future events. Big ups to Nayda for coming on out and taking some pictures of the race and all of us there. Very special big ups to Bill Paynton of TLC Design for the professional pictures taken of everyone at the event. I posted my favorite pictures of his in the posts here but there are still a few more to go around. I have his contact information should anyone like to get in touch with him. I believe I have seen Bill at a few other events with some great photography, but I finally got the chance to speak with him this time. 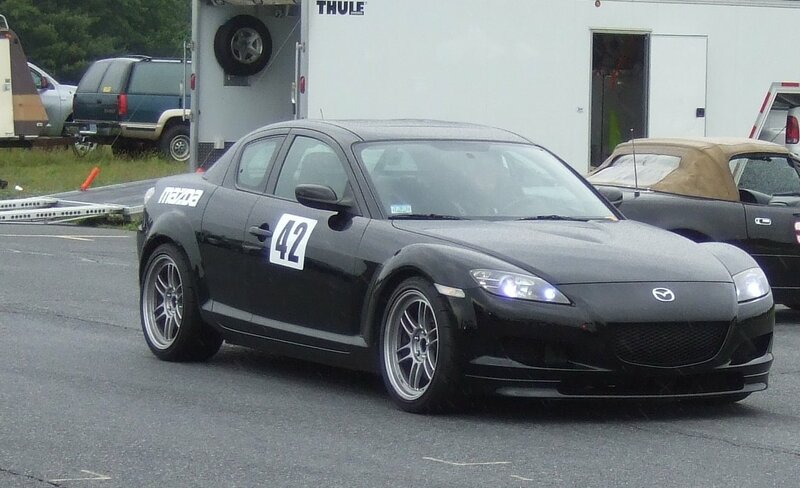 As for the results, I managed to score 3rd out of 5 in pax but pulled 2nd place in times with a 1'18.1 in the "Other Mazdas" class. Gunner took 1st place in both time and pax, driving like a champ at the limit each run. Shane came in 4th with a 1'21.0 , and Jeff pulled in 21st with a 1'24.5 in the "Non-Mazdas" class. As usual, the final results are posted on the Renegade Miata website. Shane came up with the great idea of sticking the camera to the sunroof inside of the car. The videos came out great, allowing you to see what the driver is doing, as well as the course. The first video of me was my second best run of the day with a 18'5, with the second one being my slowest run (started raining in the afternoon and I was fighting with the windshield wipers, whoops). The footage of Jeff and Shane was mostly morning shots, as the batteries died before I could get more footage of everyone.